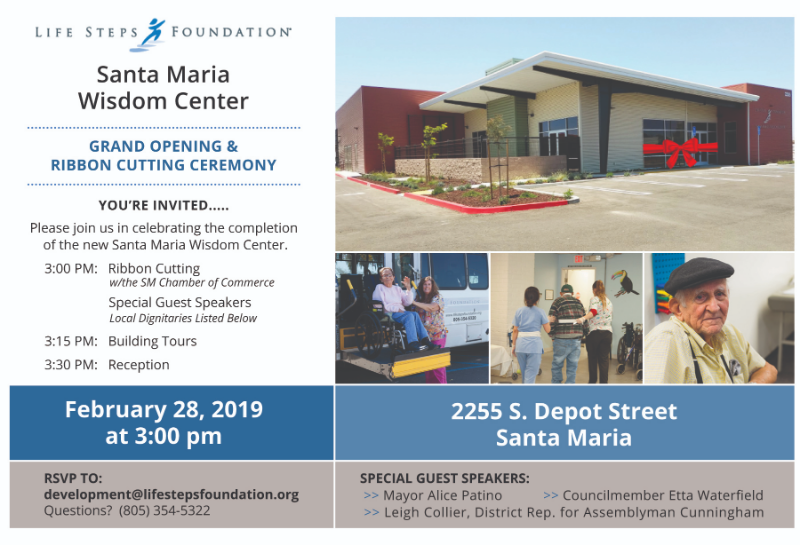 Description: Life Steps Foundation is proud to announce the completion and opening of its new Santa Maria Wisdom Center adult day health care building. Please join us for tours and refreshments. Senior care services are a top priority for the City of Santa Maria. LSF Santa Maria Wisdom Center is the only adult day health care center serving the counties of Santa Barbara and San Luis Obispo. The new Center makes it possible for Life Steps to nearly double its service capacity from the previous maximum of 60 individuals to the new capacity of 100. Opened in 1998, the non-profit Santa Maria Wisdom Center provides door-to-door transportation to and from our program, on-site nursing care and medication management, physical and occupational therapy and rehabilitation, stimulating social and recreational activities, breakfast and a hot noon meal. 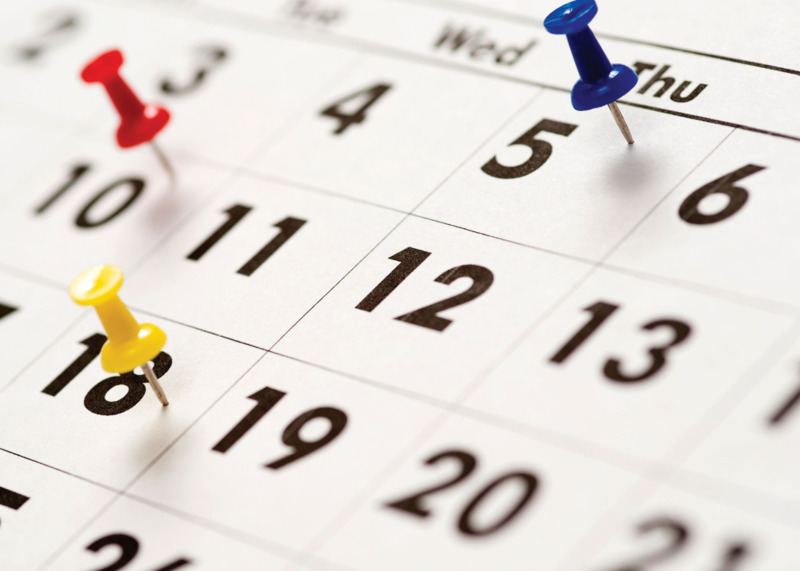 Life Steps’ goal is to prevent, delay and reduce the premature institutionalization of seniors and aging adults with disabilities to enable them to remain in their natural supportive living environments as long as possible. For additional information about the grand opening ceremony and our beautiful new Center in Santa Maria, please visit or to learn ways you can provide support, please call (805) 354-5320. If you wish to attend please email your RSVP and number of attendees at development@lifestepsfoundation.org.